does anybody know what table and stool this is, or something similar? I don't know what that specific one is, or who designed the original, but it's based on a stool that's traditional in French bars. Just Google "industrial bar stool", there are loads of companies reproducing it. Both the table and the stool are by Tolix, designed by Jean Pauchard who's Finnish. Although I think Tolix is a French brand, as Andy says. burny wrote: Both the table and the stool are by Tolix, designed by Jean Pauchard who's Finnish. Cheers, never knew the name or the brand. He's French though, the son of Xavier who founded Tolix. DuffMan wrote: Vaughty if you have dual zone heating aren't their smart systems which would let you control both from one unit and have more options etc than Nest? I just liked the look of the Nest system as well as the functionality it offers. Emailed Nest about having a dual zone system but their support is in America and I don't think they fully understand how UK dual zone heating works. SJ wrote: Hive does dual systems. Got one in myself. SJ - what made you choose the Hive system? How are you getting on with it? freedom wrote: does anybody know what table and stool this is, or something similar? Anyone got a windows/doors company to recommend? I'm after large sliding doors in triple glazing and a big roof lantern. Cheers. Marketing if I'm honest, I didn't know much about Nest at the time. It's good for what it is and how I needed to use it because of the convenience but I'm in the process of selling that house and you can't move it. I'm leaning towards getting a Nest in the new place though for the learning and motion sensing aspects. That and you'd think Works With Nest will be pushed alot more by Google than the bits and pieces that British Gas are doing to work with Hive. If you want to do dual zones on Nest I think I saw something about having to have multiple thermostats to make it work but you can search for installers on the website so I'd find a local one and give them a ring. They should be able to say if it will or won't work. Decent magazines for interiors ? Ta. Running an exhibition at the moment of 1960s/70s geometric op-art silkscreen prints. Might be of interest to some here? Happy to do a (small, margins are tight!) discount for fukers. Are Mansard loft conversions significantly more expensive as opposed to say a standard loft conversion? Also completely randomly but door catch on my oven broke and was quoted £175 to fix it! Bought the part off amazon for £6 and installed it myself in 20 mins with 3 tools. Appliance manufacturers are having a laugh with their service and warranties, as if it would be acceptable for any decent oven to break within 2.5 years of purchase. Birdman wrote: http://m.curbed.com/archives/2014/12/17/replinger-glass-house-urbana-for-sale.php - what £190k buys you in Illinois. Very similar to one where I used to live , also with the internal courtyard. Updating and old post , used to walk past this house & look over the fence every day for a glimpse when inhabited by previous owner. Can't believe It wasn't saved. 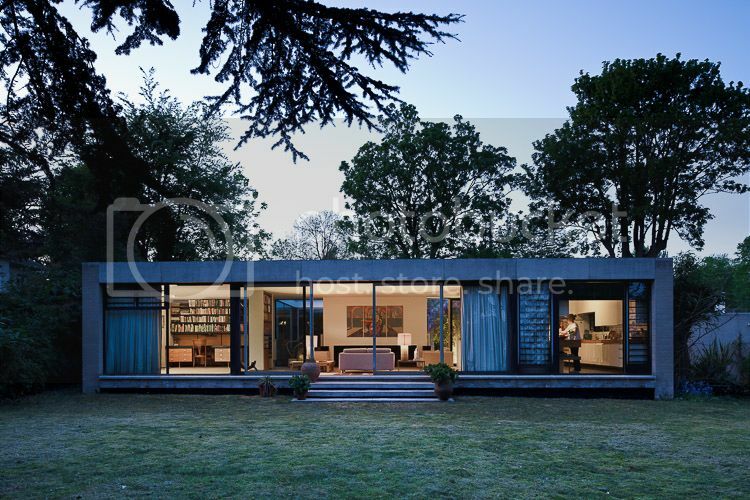 Though relatively unknown , fair to say probably one the finest Modern Houses in England. Hive or Nest? I am looking at Nest so I can change heating when I am not coming back to the flat - looks better than Hive - any thoughts from owners?